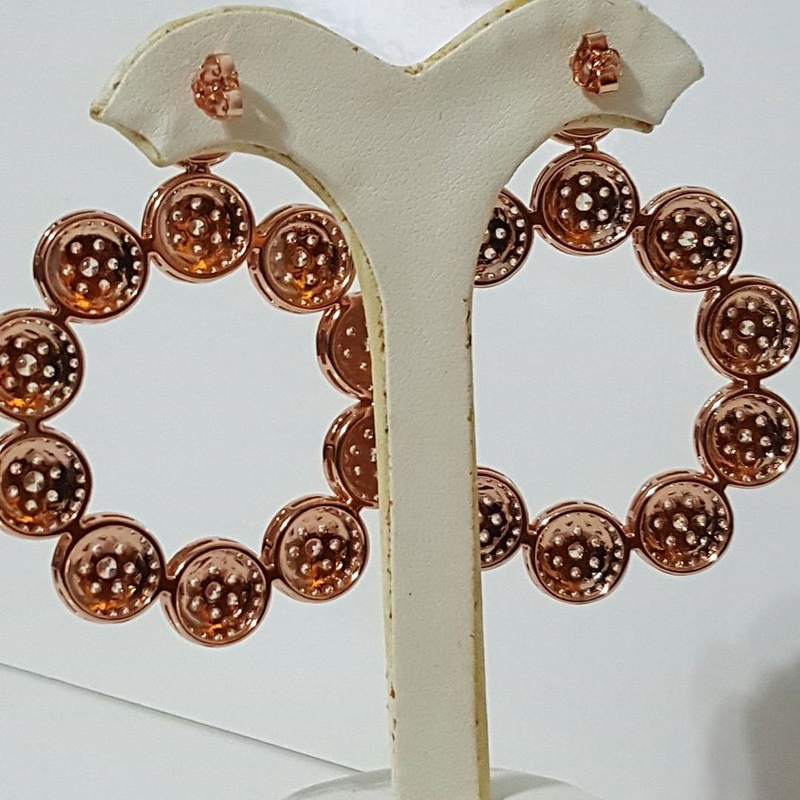 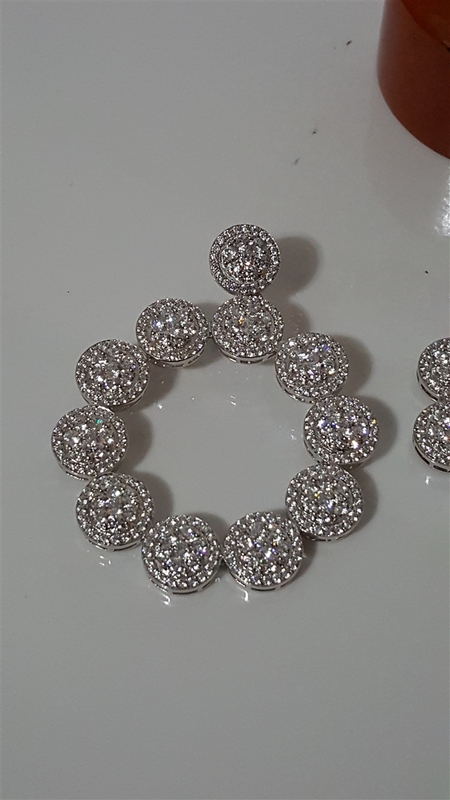 Elegant bezel circular cocktail earrings. 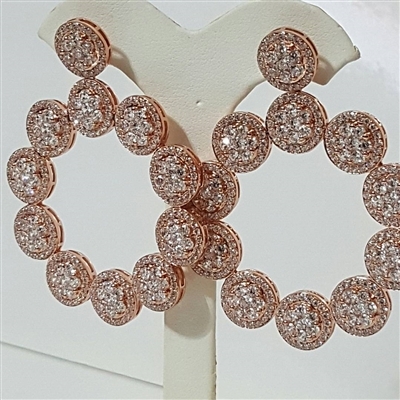 These earrings present are dazzling and rich. 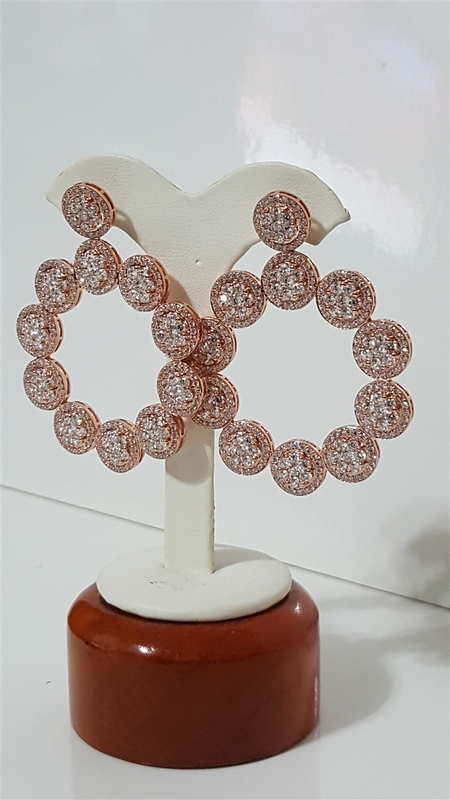 Available in Rose or Silver.